Instagram – the perfect app for keeping up to date with what everyone is up to, and what new things you can spend your precious money on. We’ve all been there, scrolling through your feed slightly enviously looking at how everyone else is spending their weekend, and seeing what new things you probably can’t afford to buy – but you will anyway. Well Instagram Shopping Tags are here, making it easier for you to treat yo’ self! 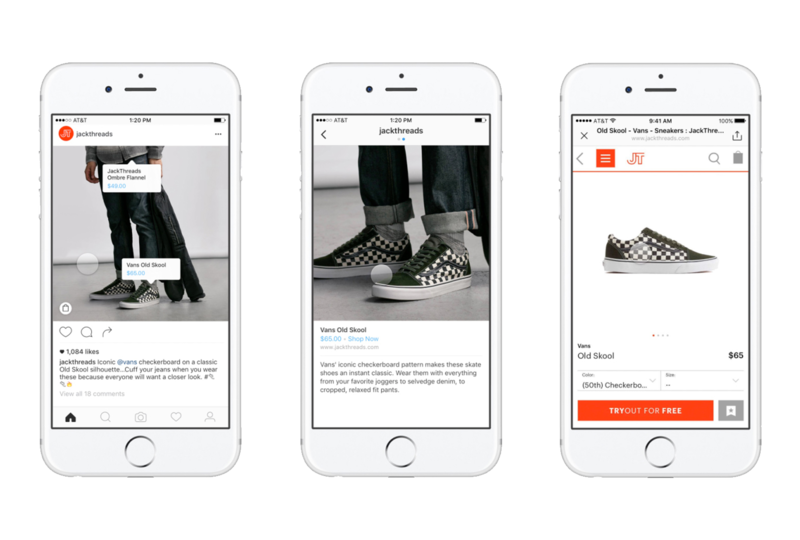 The company have started rolling out ‘Instagram Shopping Tags’, initially being tested by a select 20 fashion brands. They make it possible for users to purchase products that they see in an ad in their feed, gone are the days of having to go to a brand’s bio and follow a link, or google the brand to go to their web store, all you have to do now is click a tap-to view button on the image to learn more about the items on show. When you see something that you like and are ready to buy, you will be sent to the company’s website or app to complete the purchase, it’s as simple as that – madness! Further down the track you will also be able to bookmark specific products for later – which sounds awfully familiar… Pinterest anyone? These new features will no doubt put Pinterest on high alert as it is an obvious challenge to them, following on from the platform going after Snapchat by releasing Instagram Stories, which have been extremely successful, it seems Instagram want to have it all! What’s most interesting is that Instagram aren’t planning to charge brands to use this service instead seeing it as a value add, hoping it will make it more appealing for brands to advertise on the platform and bring in more ad revenue for Instagram. It’s exciting to see Instagram evolve form it’s once simple imaging sharing platform and it is evident that they are not finished yet. As mentioned, this feature is only being trialled at the moment, so we will have to wait and see how it turns out – I guess in the meantime it’s business as usual.